It has long seemed like a tidy story about human ingenuity: After people started farming about 10,000 years ago and were faced with the challenge of cooking plants and grains, pottery was invented. But that explanation has been fraying for years, and now an international team that includes a Harvard University anthropologist and Boston University scientists has pushed back the timeline even further, with evidence of pot shards from a cave in eastern China that date to 10 millennia before agriculture began. The team of scientists revisited Xianrendong Cave, a prehistoric site about 60 miles south of the Yangtze River that over the decades had yielded an array of artifacts, including tools made of stone, bone, and shells; animal bones; and fragments of pottery. The scientists reopened the trench, excavated blocks of sediment, and analyzed bone fragments and layers of sediment to get the precise age of layers where pot shards had been discovered earlier. They used radiocarbon dating of large bone fragments at Peking University. Then, to make sure they were getting accurate measurements and that the sediments hadn’t shifted, BU researchers examined thin slices of sediment up close, to check that the layers had remained stable since they were first deposited. The technique was so sensitive that they reported evidence of worms tunneling through the sediment. They found that the pot shards were 19,000 to 20,000 years old — several thousand years older than the previous oldest-known pot shards. That find challenges traditional explanations of the emergence of a sophisticated technology that would have transformed human nutrition and social interaction, according to Gideon Shelach, a professor in the department of East Asian Studies at Hebrew University, who was not involved in the research. The evidence that pottery is older than previously believed deepens questions about what the pots were used for and how their use may have evolved and become more widespread as other developments, including farming and staying in one place, began to transform human life. Bar-Yosef said he hopes to be able to do further analysis of the shards to see if anything can be learned about what was stored or cooked inside the small pots with rounded walls. 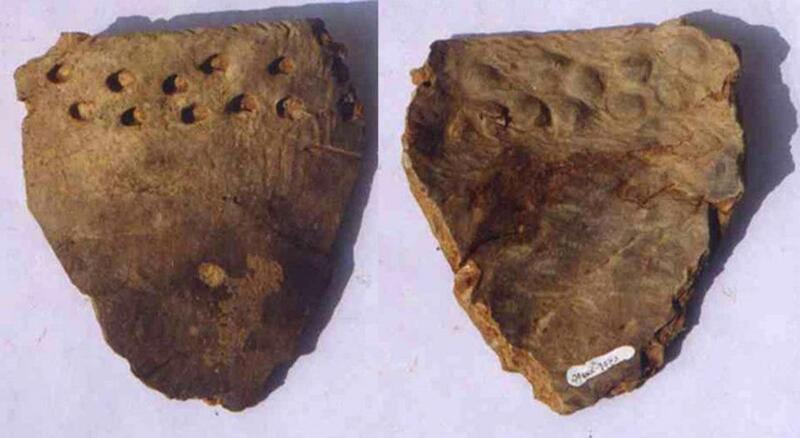 Researchers observed evidence of burning on the outside of the fragments, suggesting they may have been used in cooking. Because the early pottery dates to a period when the glaciers were large and the environment might have been harsh, the scientists proposed the pots could have proved useful in making maximum use of resources. For example, they could have been used to cook crushed bones and extract precious nutrients. “Then, once you see the advantage in cooking, you go ahead with it and that’s what started the whole tradition of cooking and steaming in China,” Bar-Yosef said. For example, if researchers centuries from now concluded the Internet was created to enable social connections and change the delivery of news, they would be sorely wrong. Those uses evolved over time. Anthropologists should take similar care in evaluating the ancient past, he said. Technology often goes through stages; invented for one reason, experimented with, and slowly evolving as new needs emerge. When the first cellphones were created, people weren’t thinking about how to allow people to check their e-mail on the go, for example.